Watches come in all shapes, sizes, and forms. Jomashop has prepared an easy-to-use watch sizing guide to help you with the process. Using the PDF image, print the Watch Sizing Guide from your printer to get a relatively good idea how the watch will look on your wrist! 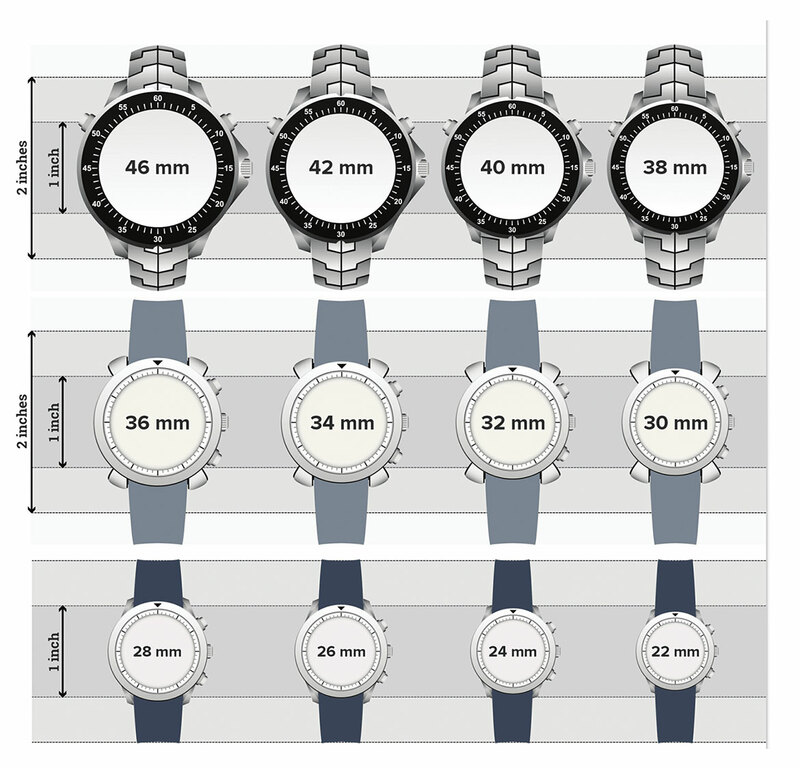 Click to download the PDF Watch Sizing Guide.